The Davis Besse nuclear plant . 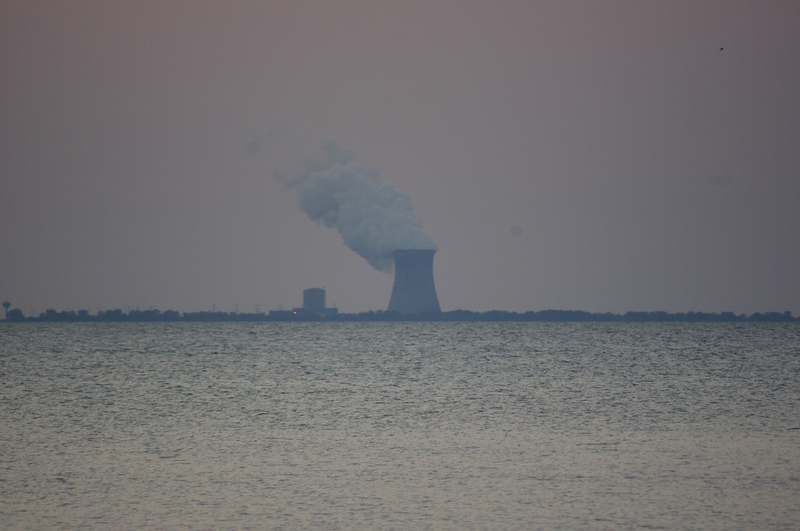 “AARP Ohio, on behalf of its 1.5 million members and families, strongly opposes any surcharge or tax on utility customers in our state that would serve to subsidize the for-profit nuclear power industry,” she wrote. “That [new fees to subsidize a utility] is patently unfair — why should Ohio customers supplement the electricity bills for those living in other states,” her letter asked, referring to the rules requiring power plants in Ohio and 13 other states to send their output into the multi-state high-voltage grid managed by PJM Interconnection. The strongly-worded opposition letter was not surprising, given that state AARP chapters routinely oppose utility rate increases. The Pennsylvania office of the AARP opposes a similar nuclear power plant subsidy bill in that state. FirstEnergy Solutions owns a two-reactor nuclear power plant near Pittsburgh with a total capacity of about 1,815 megawatts. Sykes did not return a phone call request for comment Tuesday. But Jason Smith, associate director of advocacy for the organization, said in a phone interview that AARP has not yet taken a position on House Bill 6 as it was introduced late Friday afternoon, a day after Sykes sent her letter to Householder. Smith said the Sykes letter expressed “our general opposition to such subsidies” and that AARP would not take a position on the bill until it completes an analysis of its impact. Tuesday’s hearing began a day after lawyers for FirstEnergy Solutions asked a federal bankruptcy court in Akron for permission for an additional 90 days to file a plan of reorganization. The company sought Chapter 11 bankruptcy protection on Mar. 31. The court rejected the company’s first plan because it included reference to a deal absolving parent company FirstEnergy from any future liabilities for environmental problems caused by its power plants.